3D Imaging for Cultural Heritage | Rebecca Mendelsohn, Ph.D. The recent development of 3D technologies has completely revolutionized the ways in which data can be captured. Until recently these technologies have mostly been employed in profit-making fields like industry. But over the last 10 years the anthropological and cultural heritage communities have begun to recognize their benefits. Why Use 3D Methods in Cultural Heritage? Laser scanners use the projection of a laser to record the the surface of an object or building. Laser triangulation and Time-of-Flight are two of the most common laser scanning technologies applied in the field of cultural heritage. Laser triangulation scanners project a laser pattern onto an object and capture it’s reflection angle, triangulating the distance to capture a given data point. Time-of-Flight laser scanners record 3D data by measuring the time it takes a laser beam to reach it’s target and return to the scanner. NextEngine laser scanners are currently popular amongst anthropologists because of their affordable price tag (currently just under $3,000), but can be impractical depending on the scale of the project. Structured-light (or white light) scanning uses light patterns projected onto the contours of an object to collect data points. Scanners include a projector and a camera and use triangulation to measure data points. The scanner is first calibrated to a flat calibration panel, where the projector lines would be straight. 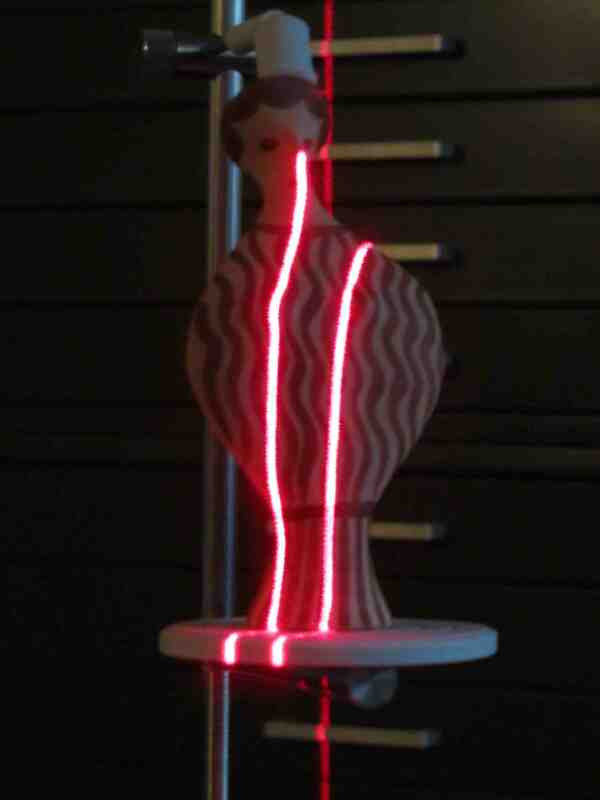 While scanning, a progression of light “fringes” or stripes is projected over the object. The curve of the fringe pattern is measured to collect data points. Close-range photogrammetry uses 2D digital photos to create 3D models. Photos are processed using a software package to create models. While many photogrammtery software packages exist, Agisoft’s Photoscan is considered by many to be the best option for a compromise between scientific accuracy and cost. Data collection only requires average photography equipment and photos can be captured quickly, making this a great option for the collection of 3D data during fieldwork. Unlike a traditional digital photograph, RTI technology allows a researcher to view a 2D image from multiple light angles. Images are taken with the object in a fixed position and a flash at various positions around the object. In one simple method, black spheres are used to record the light position for each image. The digital photographs are then combined in the software and a new, interactive image is produced. The user can then manipulate the light position to highlight specific areas of the piece. Additional functions, like spectral enhancement, can be used to extract details that are recorded in the images, but often cannot be seen by the naked eye. Cultural Heritage Imaging produces open source software to create and view RTIs. Like photogrammetry, RTI requires only a limited amount of photography equipment and allows for quick data capture, making this another good option for the collection of 3D data during fieldwork. Depending on the quality of the 3D model, copies of objects can be created using variety of methods. 3D Printing is an additive technique that creates replicas by laying down successive lines of plastic pixels (or other substances, like chocolate) to mimic the 3D data. Milling is a reductive technique where computerized cutting tools are employed to reduce a material, like a high density foam, to the desired 3D form. Other techniques involve the production of molds to cast the objects in other materials, like bronze. The use of digital media, in general, has produced a number of unique ethical and ownership concerns. The collection and use of 3D data add even more considerations to these ongoing debates. Replication of objects and the dissemination of full resolution 3D data might be of concern for a number of reasons. First, there is a danger that individuals will use these advanced technologies to create forgeries and sell them on the art market. Replicas might also raise concern over ownership of cultural heritage or create a potential loss in status of an original piece if multiple copies are made. Archiving data and creating standards for digital data formats are also challenging issues surrounding these new technologies. Nevertheless, the use of 3D technologies for digital preservation (e.g. Cyark), especially for at-risk artifacts (e.g. Project Mosul), is often seen as one of the great benefits of 3D technology for cultural heritage. 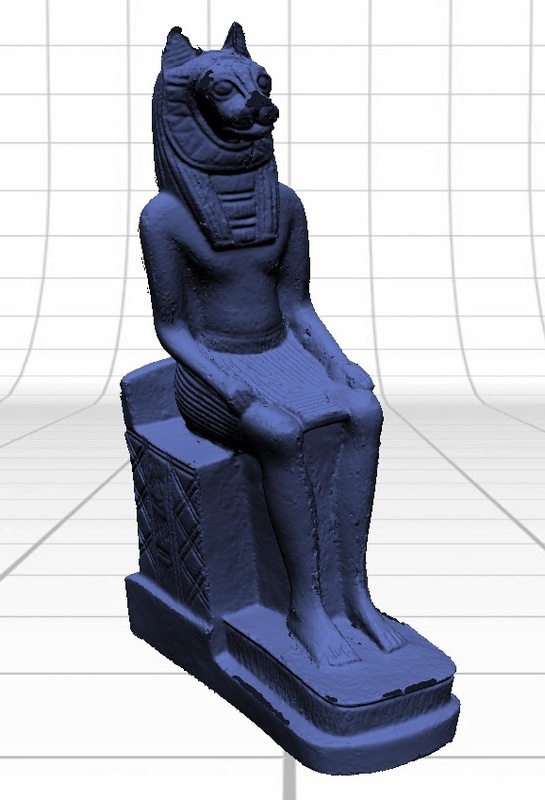 Check out my “3D Methods in Archaeology and Cultural Heritage” Pinterest page featuring news stories and interesting applications of 3D technologies for cultural heritage. Keep checking in; I add more posts all the time!